Life’s not slowing down. Neither should you. Gain the strength, energy and mobility to fully enjoy life’s adventures. Fitness tailored to you. Progress at your pace. 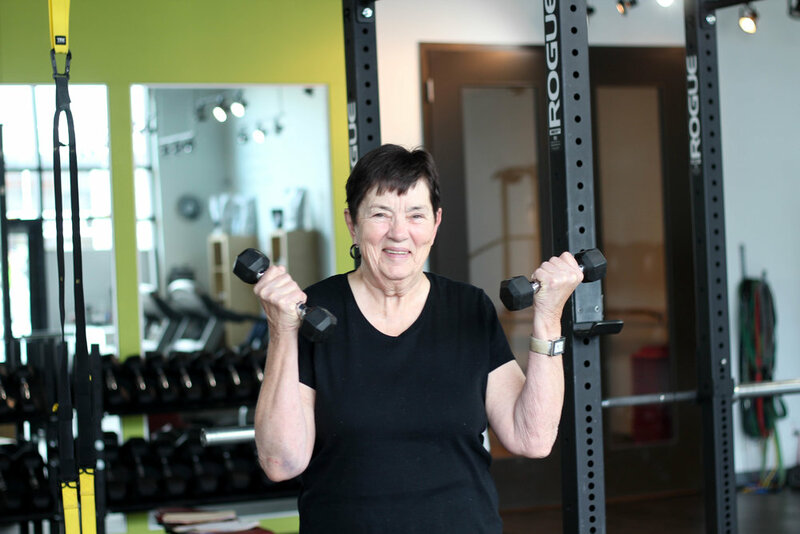 Losing weight, building muscle and maintaining health are all different after 50, so our training is, too! You don't have to worry about aggravating old injuries or too-intense sessions you won't enjoy. Joanna is stronger, more mobile and has more energy then ever before. At 2X/week, the committment isn't huge, but the results speak for themselves. Elaine strength trains 2X/week to strengthen her joints, maintain muscle mass and stay strong during the golf season. Shirley is 84 years old and has 26 grandkids. Strength training has kept her strong and mobile to keep up with her family.